Everyone’s favorite fully functional sentient android; Data from Star Trek: The Next Generation has beamed down to the new GE commercial, “Robots on the Move”. Brent Spiner, as Data, makes a brief appearance in the new ad, along with other well known robots from television and film, including K.I.T.T. from Knight Rider, Robby the Robot from Forbidden Planet, and Johny Five from Short Circuit. Scroll down to check out the video. The robots want to a firsthand look at the technology that will make machines work better and smarter. Join them to see how the new products from GE are integrating innovative technology with the ability to communicate, making the world work in ways never seen before. Join the revolution. When asked if he received compensation for the commercial, Spiner joked on Twitter that he didn’t want to discuss finances with his more than 1.3 million followers. RT @atfmb:does @brentspiner get any money from Data appearing in the GE commercial?–I never discuss finances with 1,354,331 people. 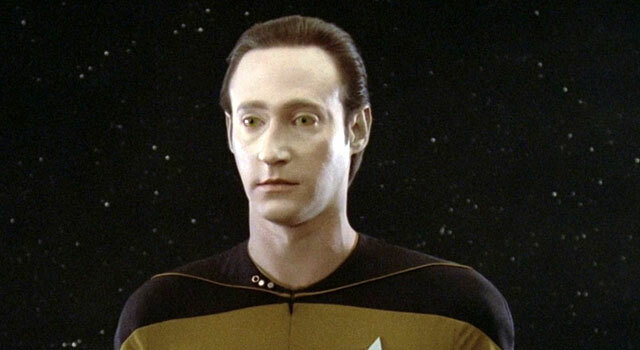 Data’s appearance takes place at around the :50 second mark.